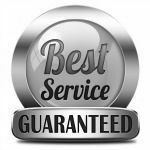 Median Pricing in Addison, Dallas, Plano and Frisco – Up or Down? 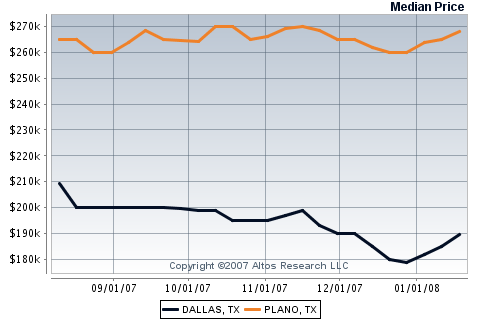 Looks like Frisco is heading down a bit, due to new home builders and foreclosures in the mix. Dallas has had quite a run up despite the market. 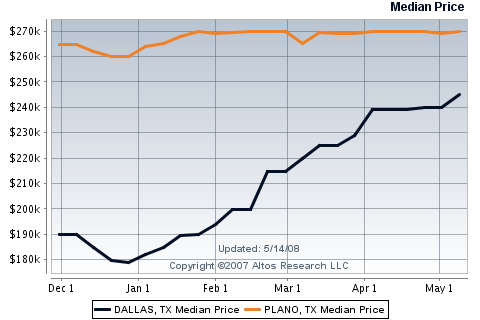 Dallas vs Plano Median Price – It’s UP!